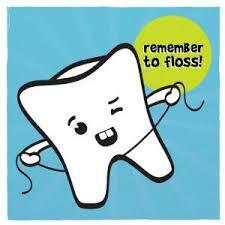 Flossing Still Important For Oral Health. Noting a news story last year questioned the benefits of flossing due to a lack of research, USA Today (4/15, May) reported American Dental Association spokesperson Dr. Matthew Messina says flossing is still important and may help prevent dental caries and gum disease. “Brushing is very important but you can’t get the bristles in between the teeth,” Dr. Messina said. “Floss pulls bacteria and plaque and food that smells bad.” USA Today noted “the ADA recommends brushing twice a day and flossing once a day.” The ADA released a statement on the benefits of using interdental cleaners. MouthHealthy.org also provides resources for patients on flossing, including the correct flossing technique.